Click on “General” tab to select list of activities you want to monitor. You can add password and set ‘days’ that automatically delete older logs. Select ‘All users’ or ‘Particular user’, you want to monitor their activities. 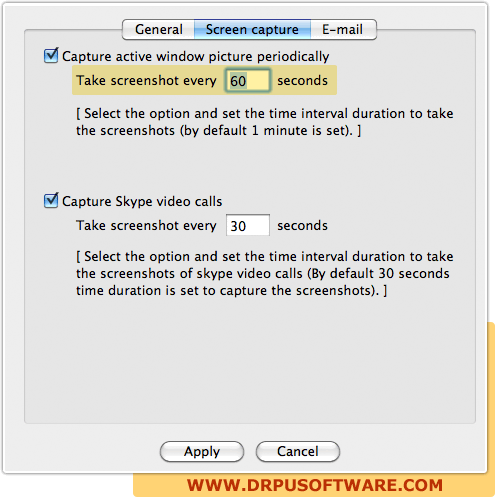 Set timings to capture Windows and Skype video calls screenshots. 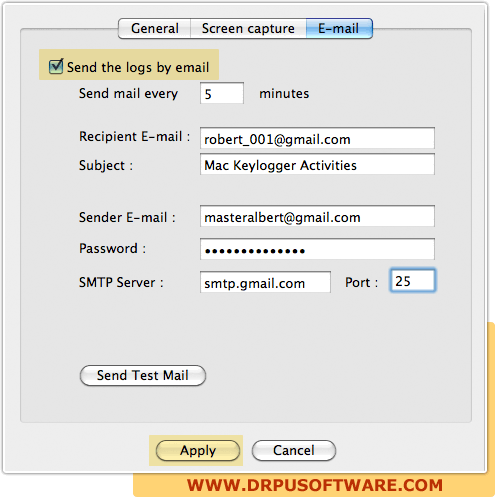 Enter required fields to send log reports by email.